Normally when Faceboook acquire a start up they make you can offer you can’t refuse, shut you down and strip you of all your intellectual assets. Highly effective but just a tad on the brutal side. 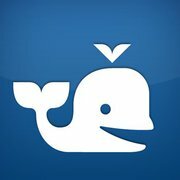 Beluga is a free mobile group messaging service so a little bit like Foursquare in that you can share your location, but just (& only) with your friends. You can also share photos, updates etc with the group but again, completely privately. It’s made up of a team of three bright young things who learnt their craft at Google and created a bit of a feeding frenzy when they went out into the market looking for angel funding but as we now know Facebook got there first. So, what’s the future for Beluga? The privacy of their users, which is so closely guarded seems a little at odds with the Facebook mantra of give us your data and we’ll sell it, but other than that this seems like a perfect fit. Could it be that this is Facebook tacitly admitting that there are some users out there who aren’t prepared to share their life with the world? Could this be their first move in building an alternative service where privacy is key? We’ll wait to find out.